Time to get serious… I have to share some thoughts with you as I’ve been thinking pretty big lately. I’ve learned a lot of interesting things about love, gratitude and passion. Those are the three main things that one should always keep in mind. Although life is pretty intense and even hectic at some points, you do need to focus back to the basics, really. 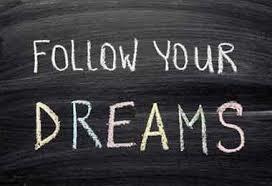 Who are your loved ones and friends, what are your dreams, where do you get your passion? If you manage to focus your thoughts into those daily even for a few minutes, that will give you incredible strenght and motivation to carry on. Trust me. Personally I feel extremely happy at the moment, life is pretty much perfect. I am truly grateful. It seems that every now and then I even have the luxury to enjoy some drum’n'bass although life is quite busy at work and home. Whenever that happens, it makes me feel super good and enthusiastic. It makes me realize that my family is my true love and music is my true passion. Period. Having the greatest family and being creative thru music are the things that inspire me beyond belief. Although I haven’t had time to produce much music lately, I will definitely do that again one day. That’s a promise. With that being said, check out the 35 free tracks at Mineral.fi, and enjoy your life. It’s too good to be wasted.